Sitting room small two seater sofa bed and dining room table and chairs with coal fire range with back boiler also immersion heater to heat water. 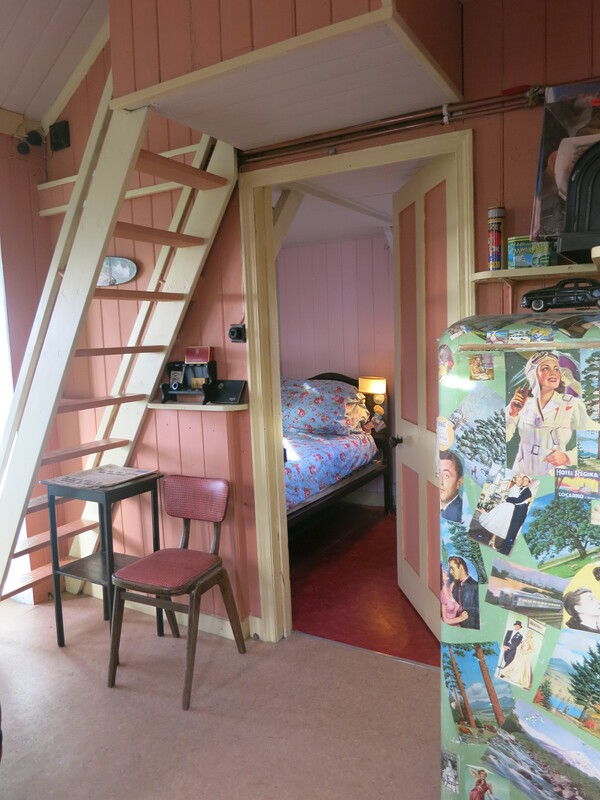 2 single beds downstairs and a loft up stairs very steep and small opening it attic room you can not stand upright. Small fenced garden so children and dogs can be contained with lovely views facing south with mature trees on one side. An Anderson shelter is in the garden so the children can stay and play. Length of stay is flexible – guests can stay any length of time from 2 days to 4 weeks. If booking is through us a deposit of 25% will be required, with the whole sum being payable 6 weeks before the booking. If booking direct through us, guests wll be able to pay by bank transfer (wire)or cheque: contact us for details. Returning guests (ie people who have stayed in one of our houses before) are eligible for a 10% reduction – please let us know when you make the booking. Price between £380 and £500 per week approximately depending on how many people and time of year. Hi. I am interested in booking your beautiful cottage for 2 nights: Friday 8th January and Saturday 9th January 2016. Please can you let me know what the price would be for the 2 nights. Many thanks. The cottage is available for the weekend 8/9 January. The cost would be £150 for 2 people, and £180 for 3 or 4. Happy to anser any queries. could you please give us a price and availability for the cottage for 4 nights Monday 23rd April to the Friday 27th April 2018. The cottage is available for the 4 nights from Monday 23rd April. The cost for 2 people is £330, 3 people £340 and its £350 for 4. The upstairs bedroom is very low ceilinged and accessed by a steep staircase-just so you know. We are very happy to answer any questions you may have. Hi Denise, thanks for your enquiry. The cost for 2 nights for 2 people is £180 and £200 for 4 people. 3 nights is £260 for 2 people and £280 for 4 people. The cottage is currently available 5-9 March, 11-16 March and 19-26 March. Thanks for your enquiry and I’m sorry for the delay in replying. The cottage is available for those 5 nights over New Year. The cost for 4 of you would be £490. I do want to stress that the upstairs room is very low ceilenged, and reached by a steep staircase.